The proposition passed in November with more than 60 percent of the vote, a testament to how much Californians want to alleviate shamefully visible homelessness that has spread along freeway embankments, underpasses, and public parks that have become shantytowns of RVs, tents and tarps. The measure promises to establish housing and services for mentally ill homeless people. But if anyone has a right to be skeptical of Proposition 2 and the controversial method used to pay for it, it’s Tulare County Department of Mental Health Services Director Dr. Timothy Durick. Over the past four years, he has utilized funds from a preceding mental health ballot measure, Proposition 63, to overhaul his department and convince his most resistant, even violent, mental health patients to embrace treatment. A recent story in The New York Times showed just how perilous housing severely mentally ill patients can be without sufficient treatment, support and supervision. More than 700 patients in New York State were funneled into what was billed as supportive housing. Despite having a roof overhead, more than 30 died in squalid and dangerous conditions that were no improvement over life on the streets. Tulare County is not New York, or Los Angeles for that matter. But it sees the same heartbreaking display of homelessness on its small-town streets. And because housing and help can be spread out over vast parcels of cropland, more than 80 percent of Tulare's approximately 670 homeless people are classified as “unsheltered,” meaning they have found no soup kitchen or friend’s couch to take occasional refuge. 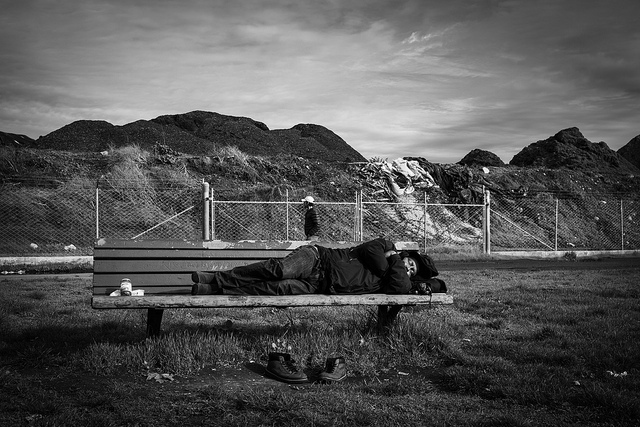 Statewide, an estimated 140,000 people are homeless, with an estimated 30,000 suffering from severe mental illnesses such as schizophrenia, bipolar disorders and major depression. With Proposition 2 funds, an estimated 20,000 supportive housing units could be built, according to some projections. Tulare mental health will receive $900,000 in automatic funding from Proposition 2, and it is asking for more through an optional competitive grant process. So why did California voters do this? Because Tulare County truly was an outlier when it came to innovative and meaningful use of Proposition 63 funds, which were first approved back in 2004. Billions sat on the shelf, while other counties engaged in 15 years of strategy sessions on how to spend the money.